I'm down to 146.4, which is only 3 lbs from my pre-pre pregnancy weight! :) Troy lost two more pounds, for a total of 4 lost since we started this eating plan last Monday. I'm happy for him. I just keep in mind I probably will loose weight at 1/2 the rate he does, so its somewhat motivating somehow! Me on our honeymoon...not in the bathing suit/bikini because I figure its not good to post that sort of thing on the internet! I've had a busy week, so exercise ha been more difficult to fit in. However, I have good news! I fit into the bathing suit that I wore on honeymoon! Of course, it doesn't look as good on me now as it did the, but I would say that this is definitely progress! Woohoo! I did it. I went one week with a bunch of changes to my diet and environment. The only thing that I can see made a significant difference was not eating carbs after nine so my body could get into the deep sleep cycle. Before I started doing that, I could barely pull myself out of bed in the morning, and now, I have been able to get up every morning between 6 and 6:30 to workout without too much of a problem. I don't feel nearly as tired in the morning! We will see what results the next week will bring. I must admit that I am enjoying the some of the recipes from Jillian's book, as well as some that I have found online. One new food that I tried this week (today, actually) is Quinoa (pronouced KEEN-WA) was pretty good. I think the texture takes a little getting used to, but I enjoyed the barley-like nutty flavor it had. I used the recipe below to make a really tasty lunch. Quinoa is packed with protien, fiber, potassium, and has so many healthy qualities to it. We will be adding this to our regular menu. Quinoa with Peppers, Onions, and Sausage is a protein-packed, healthy, and delicious meal! Very easy to make and full of flavor. Step 1- Preheat grill or broiler. Step 2- Make the quinoa by combining it with chicken stock in a medium sauce pot. Bring to boil, then reduce to simmer until no longer crunchy and all liquid has evaporated, about 15 to 20 minutes. Step 3- Heat olive oil in a large sauce pot over medium heat. Add onions and peppers and saute 5 to 7 minutes or until begin to peppers soften, stirring often. Add garlic and cook an additional minute or two, stirring, then add paprika and cumin and cook 1 minute. Add salt and pepper as needed. Step 4- Meanwhile, grill the sausage links about 8 to 10 minutes over a moderately-hot fire or broiler, turning often until cooked through to the center. Slice sausage. Add pepper and onion mixture to quinoa and top with sausage. Wow. 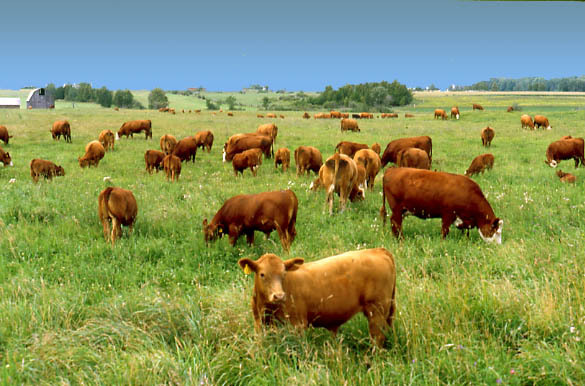 I really do not like the taste of grass-fed beef. Neither does Troy and Jackson. We had some meatloaf from Henry's last night made from organic grass-fed beef. Yuck. I had to drown it in BBQ sauce for it to taste good. I guess that defeated the purpose of eating a healthy dinner. Hmmm. I guess we will have to re-think that. Also, organic chicken breasts are stinking expensive!!! Who has the $$$ to pay $6.99-8.99 a pound for chicken??? On the plus side, we are probably going to find ourselves eating more of a variety of meat, seeing as I can get organic pork tenderloin for slightly cheaper, and turkey bacon for a decent price as well. We are going to eat more vegetarians meals, too---mainly because it is cheaper. I made slit pea lentil soup, veggies and all, for under $2.50 and that made enough for us to eat two dinners and for Madelyn to have 16 baby-sized meals. Maybe that will make up for the price of the chicken. Maybe. Don't eat carbs after 9 (it raises your insulin levels, so your body can't get into a deep sleep when it needs to, thus slowing your metabolism because you aren't getting good sleep). Drink more water, adding to the 8 glasses a day, 1 glass per caffeinated beverage consumed. Get moving daily, starting with 5 hours of strengthening/stretching exercises. 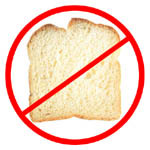 Eliminate High-fructose corn syrup, hydrogenated oils, and BHA or BHT from diet. Most of these things I already knew I should do. It's always good to get a reminder, though! After only one day of this "lifestyle change," I went down to 147.2 on the scale after being stuck between 148.6 and 149.6 for a few months. Sweet. It may be just water weight, but its a start. I worked out yesterday and today. It feels good. Okay. I've tried a lot of different ways to jump start my metabolism. Sadly, my metabolism still seems slightly faster than a snail. I'm still stuck at 148. Seriously, folks, I know I could get into my wedding dress 15 lbs from now. FIFTH-TEEN POUNDS!!! That isn't much! I don't really have much time until my 5th wedding anniversary, either...only 46 days (or slightly over 6 weeks). So, 15 lbs is a lot of loose in 6 weeks, but, who knows? I lost 10 in 4 without trying very hard at the beginning of this stretch of the weight-loss journey. Go figure. Thankfully, my mother-in-law was so kind to purchase a book for me called Mastering Your Metabolism by Jillian Michaels. In the book, she explains how eliminating all the artifical junk and chemicals we put into our bodies or on or bodies or around our bodies can interfere with our hormones, and thus, interfere with our weight-loss. Hmmm. Interesting. It sounds like it makes sense, although, some of the changes can be very drastic. I'm going to feel out the priorities in among the changes she recommends, mainly because going organic is SO EXSPENSIVE. (Example: Regular GALLON of Milk costs 2.49 on average. Oragnic HALF GALLON of milk cost 3.29) EEEEEKKKK! Jillian Michaels feels very strongly about getting dairy, meats, and berries organic and everything else, get organic as much as possible. So, that is I am doing. She has a two-week eating plan in the back of her book that Troy and I are going to feel-out. If the pounds start dropping off, it could be that I am ingesting too many chemicals and all that. It is kind of scary how much of that is in our food, make-up, body products, cleaning products, and environment. I just don't want to be paranoid. One thing Michaels also says is to be active every day. Every day. I'm just going to make exercise a habit instead viewing it as a chore. She recommends 5 hours of circuit/strength training a week, and then adding cardio to that. We shall see! Here's to loosing that last 15 (ish) pounds!